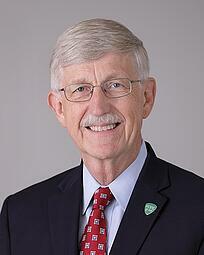 Francis Collins, current Director of the NIH and member of the Human Genome Project, predicted that there would be 12 genes for Type 2 diabetes. He was not only wrong but wrong by a factor of 10, at least thus far. Human traits are no different. Human traits are not as simple as Mendel and his peas might have led us to believe. Of our genome’s 3 billion base pairs many traits arise from hundreds, if not thousands of genes and are referred to as polygenic. The same is true for most diseases--such as diabetes---that are also polygenic. In each case, whether a trait or a disease, each of the numerous genes—down to each of their amino acid combinations, change the odds only slightly. It is the cumulative effect of thousands of minute snippets of genetic information that helps determine whether a disease or trait develops. In a recent article in Nature Genetics, researchers examined 1.1 million genomes in subjects of white European ancestry. They found over 1200 areas in the genome that correlated with educational attainment. The technique they used was called a genome-wide association study, or GWAS. 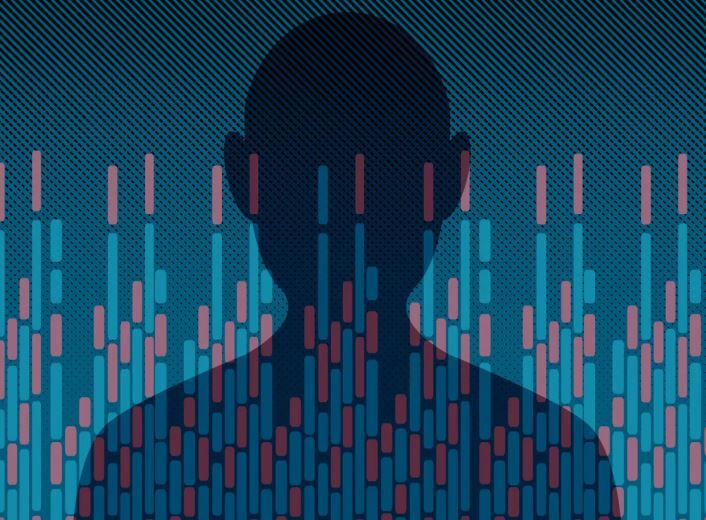 As the price of genome sequencing fell, the size of genetic studies grew from a few hundred participants to hundreds of thousands and in at least one case, over a million. GWAS is essentially big data on steroids. GWAS works with single nucleotide polymorphisms or SNPs (Snips). Identifying SNPs is not to find a cause, but an association. 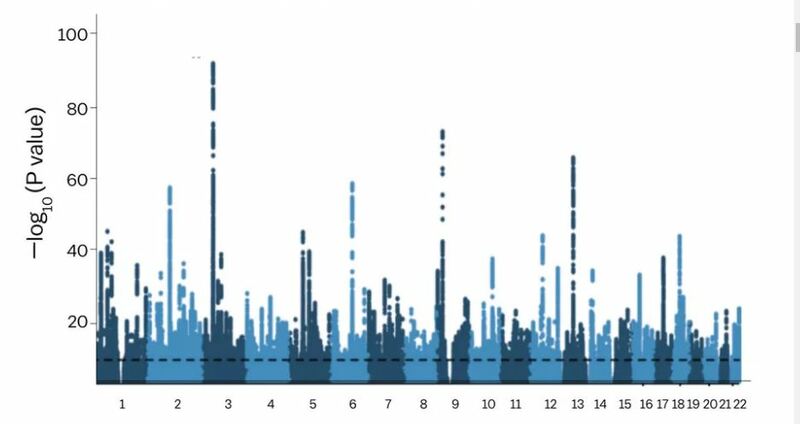 The output of a GWAS is called a Manhattan plot. One look at a plot and you can easily see why it is so named. The Manhattan plot shows locations in the genome where the greatest correlation exists between SNPs and the trait or disease of interest. For example, one study found that there were 250 SNPs associated with male pattern baldness; another found educational attainment to be associated with SNPs involved with the central nervous system. The real hope for GWASs is to predict who is likely to develop a disease and potentially find areas to intervene. Eric Turkheimer, a behavioral geneticist, notes that “at every fork in the road... your genome has its thumb on the scales, making it slightly more likely that you will develop in one direction or another.” It is important to understand that every SNP has only a minute effect and since each SNP contributes so little, researchers have developed what is called a polygenic risk score. The polygenic risk score is able to assign subjects a certain percentile for expressing a trait or developing a disease. For instance, in a recent study, those testing highest on a polygenic risk score were three times more likely to develop coronary artery disease. SNP based risk scores are just now being commercialized; such as those from Brevagen, Myriad and Ambry; ORIG3N is a test for intelligence. Polygenic tests may in the future be ordered in addition to all other cancer risk assessment tools, just to see which way the genetic relative risk scale is tipping. There are some limitations and downsides to GWAS; the major one is that all of the studies have been done on white Europeans and may not transfer accurately to other populations. In addition, GWAS obviously does not render a complete picture and fails to take environmental influences into consideration.